Shanghang Zhang is a PhD student working with the Signal and Image Processing Group at ISR – Lisboa who was recently considered a top researcher demonstrating exceptional work in her field and invited to participate in a select event organized by Facebook’s Chief Operating Officer. Every year Facebook intends to bring together outstanding computer science and engineering PhD students or Postdocs with some of their own exceptional researchers. The goal is to nurture the community of women in research by allowing them to experience the power of peer support and by sharing their knowledge on the cutting edge technical problems Facebook is working on. This year it took place on the 13th of March at the Facebook headquarters in Menlo Park, California, with Shanghang present in this event. 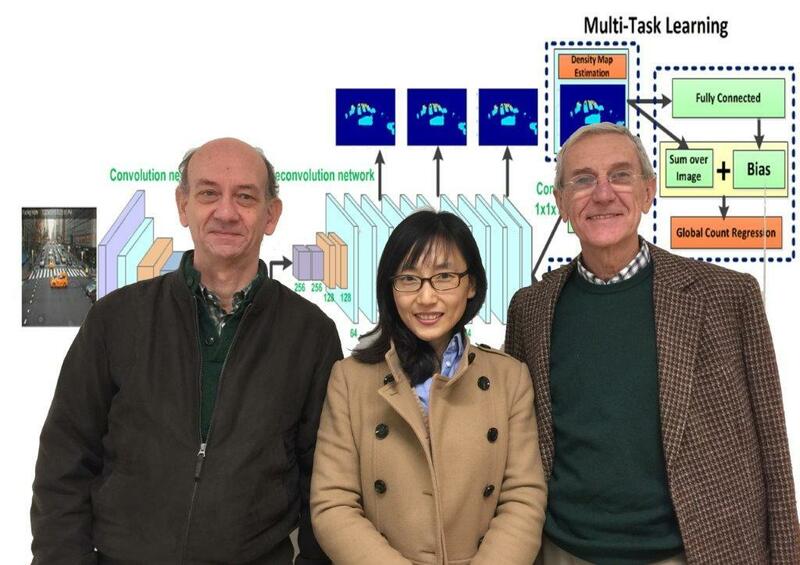 Since Shanghang Zhang has been at ISR-Lisboa she has been able to harvest some successes. Her PhD, co-tutored by Professor João Paulo Costeira, is encompassed in a partnership with Carnegie Mellon University. Last summer, when Shanghang applied for an internship at Adobe, she had the opportunity to put in practice her theoretical work by solving a problem presented by Photoshop and facing it with the tools she had developed. Shanghang was very successful in designing a solution for an issue dealing with classifying blur in images. This spurred a collaboration between ISR-Lisboa, Carnegie Mellon and Adobe, resulting in a publication for the IEEE Computer Society Conference on Computer Vision and Pattern Recognition (CVPR 2018). As recognition, her tutors and respective universities were both awarded a monetary incentive of US$20.000, something common in the USA but a first for a Portuguese university. Shanghang’s thesis work on “Understanding Image Blur” explores novel methods of processing large amounts of visual data through the development of a deep-learning approach for understanding traffic flow in cities. For dealing with pattern recognition in large banks of information the researcher designed innovative architectures of neural networks to simulate urban traffic and successfully identify large amounts of vehicles simultaneously. Shanghang is scheduled to finish her thesis in May, so you’ll likely be hearing more about her work soon.